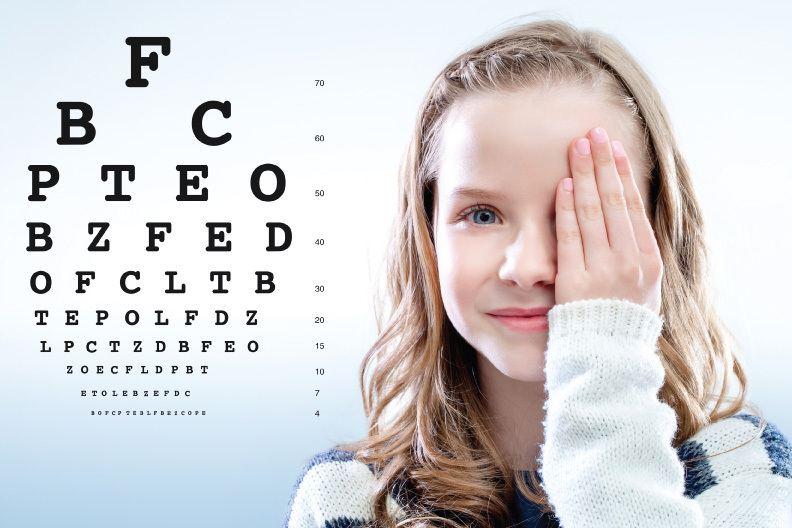 Back-to-school time is upon us and while many students’ lists include backpacks, rulers, and new shoes, there’s one more thing parents need on their back-to-school checklist – a comprehensive eye health and vision exam for their student. Studies show that as much as 75% of all learning comes through vision. Other studies show that a significant amount of vision problems go undetected in children leading to struggles in school and sports. Vision problems like nearsightedness, farsightedness and astigmatism, are the most common and most identifiable types. However, a comprehensive and thorough eye exam can also find health problems such as diabetes and high blood pressure, and eye problems such as glaucoma and lazy eye. Besides parents, teachers are also in a position to identify vision problems in the classroom. Headaches, burning eyes, double vision, squinting, and rubbing eyes are some of the signs of vision problems. A student that loses their place often, or re-reads or skips lines in a reading exercise also need a thorough vision examination. Make a comprehensive eye health and vision exam an important part of your back-to-school routine.